Beautiful photos of beautiful grandchildren, by RachelErica has done a lot of our family photos, but my favorites are of the grandchildren. She captures their beauty, their innocence, and their unique personalities in color and with black and white. 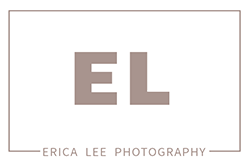 I love my grandchildren and will always have their different age periods as memories because of Erica Lee photography - my walls are Erica"s art of my grandkids. Thanks, Erica. Two thumbs up! by MiriamMy sister and I both had portraits done by Erica. She made amazing looking pictures out of two 'plain Janes' and very ordinary settings!! They were true to life, but she helped us know how to pose and gave tips to help pull out our best features...etc. She's got a magical touch and her shots look original! Picture perfect, by AbigailErica has a wide array of talent in the art of photography. She took fashion photographs of me, and I loved them! They just captured the best of me and with a unique style. She really gets to know a client first before and during the photography sessions, and she brings out an incredible beauty in each subject. Stunning senior photographs! by IanErica is certainly a professional with a talent for incredible photographs. Using stunning lighting and a lot of creativity, she creates a unique and unexpected stage to engage the photo's subject. Add her understanding of how to position subjects and a well-timed trigger finger, and it's no wonder her photos are at least the best in Lexington! Remarkably outstanding, by DanWe used Erica for several of our needs. Having had sessions from both the cosmopolitan and life portraits I can say we've yet to be disappointed. Her high quality work and keen creative eye is hard to come by. These reviews and more can be found on google maps.